As scholars of twentieth century international history, the three lead academics are well-versed in the role played by violence in modern state-formation. Yet while our multilingual research draws on a wide geographical range of archives and case studies, from Asia-Pacific and the Middle East to the United States and Western Europe, our archival opportunities and interactions with colleagues are too often temporally restricted to scholarship on the contemporary era. Given the history discipline’s orientation around scholarly networks which focus on common time-periods and places, our work on twentieth century violence and state-building, however global, risks overlooking the insights of historians who explore how similar themes manifested during the more distant past. Early Modern Europe, for instance, has produced a cannon of influential texts on how the nascent state was “born of war”, as historian Charles Tilly put it, and the works of historians like Michael Howard and Geoffrey Parker or theorists like Hobbes or Weber offer much insight for historians of more recent state formation. Yet given the Eurocentric character of the Early Modern state tradition, this field likewise runs the risk of insularity, and also stands to benefit considerably from considerations of state violence through an expanded geographical and temporal lens. By bringing together cutting-edge White Rose researchers across a diverse range of epochs, cultures, and disciplines, ‘The Violent State’ will break new ground in the study of the state’s relationship to violence. Transcending academia’s conventional organisation into narrow geographical or temporal clusters, our research network will foster complementary working relationships between unconventional pairings of scholars. We will then investigate how states across the globe, and from classical times to the contemporary day, have deployed violence to shape society and define the duties and privileges of citizenship. By creating an organized environment for comparative and collaborative inquiry, ‘The Violent State’ aims to shed light on a broad range of longstanding questions about the historical dynamics of the state’s relationship to violence through time. 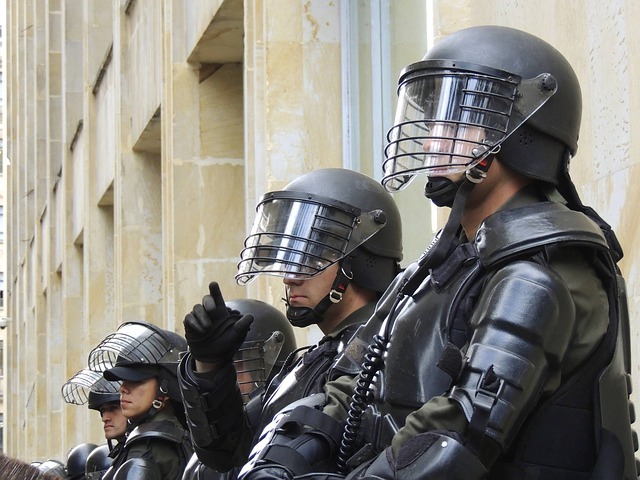 Under what conditions do states gain a monopoly on violence? Are strong or weak states likely to be more or less violent? Violence is a constituent factor in social, political, and economic relations. But what role does it play in the state’s attempt to fabricate a socio-economic and political order? What kinds of violence do states endorse and employ and which do they reject? What role do states play in legitimising some forms of violence and delegitimising others? How has this varied in different temporal and geographic settings? Never is the relationship between individual and state more intense than when the state unleashes physical violence on the individual or summons constituents to practice violence on its behalf. To that end, our network examines these critical dynamics through time, and across a wide range of cultural and political contexts. We aim to establish the White Rose network as a locus of innovative collaboration on violence and statecraft, through public keynote lectures, and triannual workshops to discuss noteworthy research and review works-in-progress by network members.